Tarmo Mutso the director of Enterprise Estonia (EAS) tourism board talked about the importance of WMOC for Estonian economy and tourism sector. The competition taking place in August is generating approximately 3 million euros worth of income for the Estonian economy. Mutso also praised orienteering as great opportunity to show of the unique beauty of Estonian nature. According to Timmo Tammemäe the head of the WMOC organizing committee WMOC 2016 will be the largest sporting event participants by foreign athletes ever organized in Estonia. The planning of the competition started in 2012. Today the crew is almost 400 people. For the general public the most exiting events will be the Opening Ceremonie being held at Tallinn Song Festival Grounds and the sprint competitions being held in the Old Town and park Kadriorg. 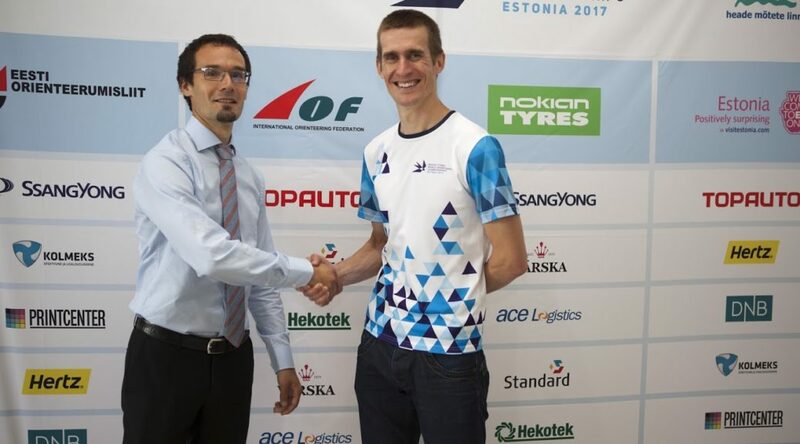 The press conference ended with a singing of a partnership agreement Estonian Orienteering Federation and Topauto. The official car of the WMOC 2016 being SsangYoung represented by Topauto.